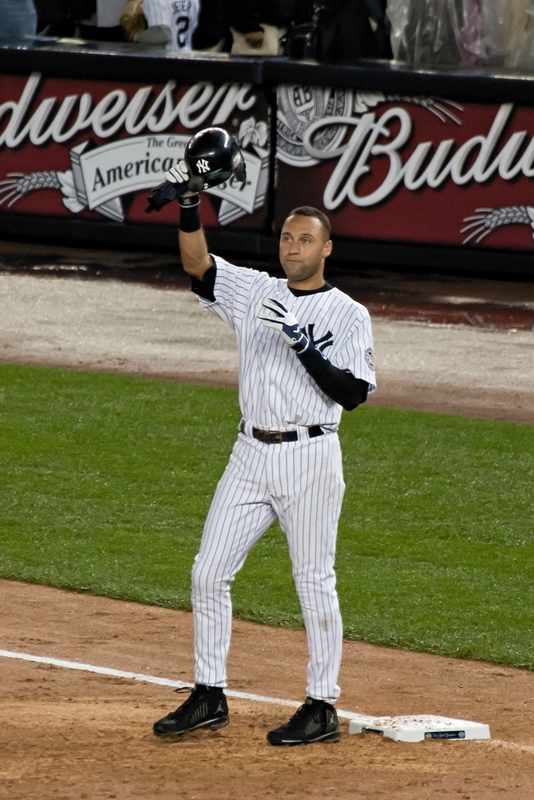 Derek Jeter played his last game as a Major League Baseball player yesterday. All of those seasons have been as a member of my beloved New York Yankees. This is not going to be a long loquacious rant. This is going to be a short and sweet tribute to one of my favorite baseball players of all time. Aside from the batting average and number of hits accumulated, a lot of critics like to paint Jeter’s power numbers as statistically pedestrian at best. Don’t believe me? Check out what ESPN’s Keith Olbermann had to say about Jeter. Oh and to top it all off, anytime a player gets cheers by fans of his arch-rival is a sign that he is indeed an icon. Watching the Boston Red Sox crowd at Fenway Park not only stand and applaud him after the last hit of his career, they chanted his name! Look, I’m not going to argue that Jeter deserves to be on the Yankees’ Mt. Rushmore – twice. Hell I’d barely place him into my top 10 Yankees of all time. However, there is something to be said about exuding some class. Jeter is class personified. His picture should show up in Webster’s definition of the word. Not only would Jeter be on that Mt. Rushmore of baseball players, I think he is among the classiest athletes of all time. Major League Baseball, Yankee fans, and sports fans will miss Derek Jeter. I already do.